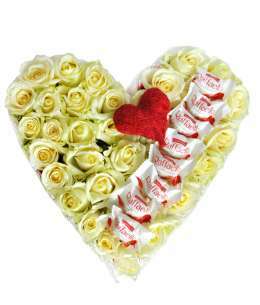 Home > Compositions>Heart of flowers>Heart of flowers "Romantic"
Red Heart of 21 white roses, 10 Raffaello and one decorative heart. 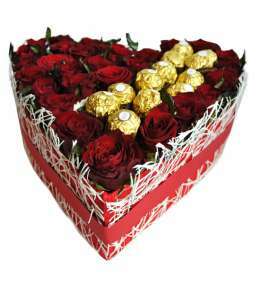 Red Heart of 21 red roses, 14 Ferrero Rocher and one decorative heart. 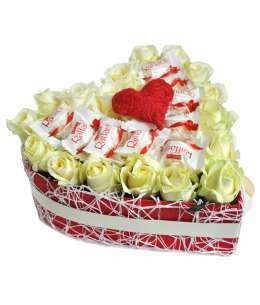 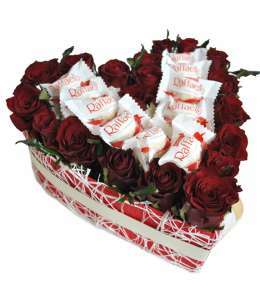 Red Heart of 31 white roses, 8 Raffaello and one decorative heart. 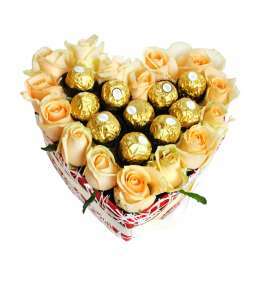 Red Heart of 15 peach roses and 10 Ferrero Rocher. 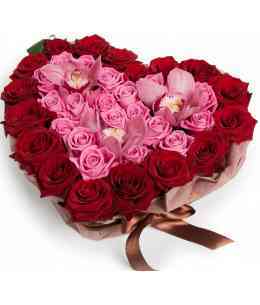 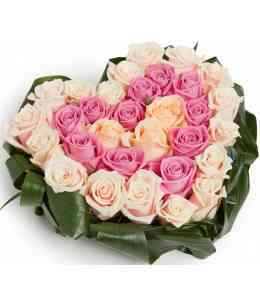 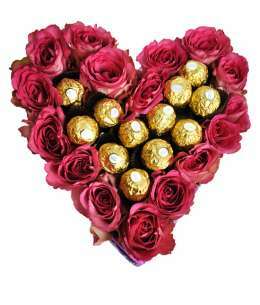 Pink Heart of 21 pink roses and 14 Ferrero Rocher. 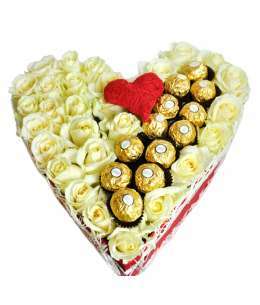 Red Heart of 31 white roses, 12 Ferrero Rocher and one decorative heart. 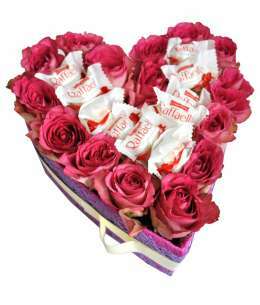 Red Heart of 21 pink roses and 10 Raffaello. 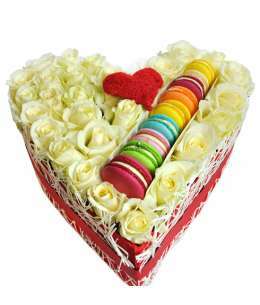 Red Heart of 31 white roses, 9 Macarons and one decorative heart. 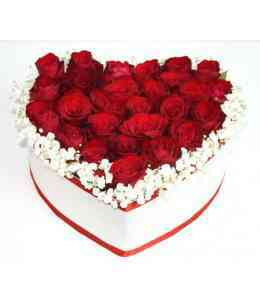 Red Heart of 21 red roses and 10 Raffaello. 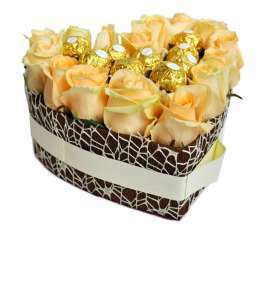 Brown Heart of 15 peach roses and 10 Ferrero Rocher. 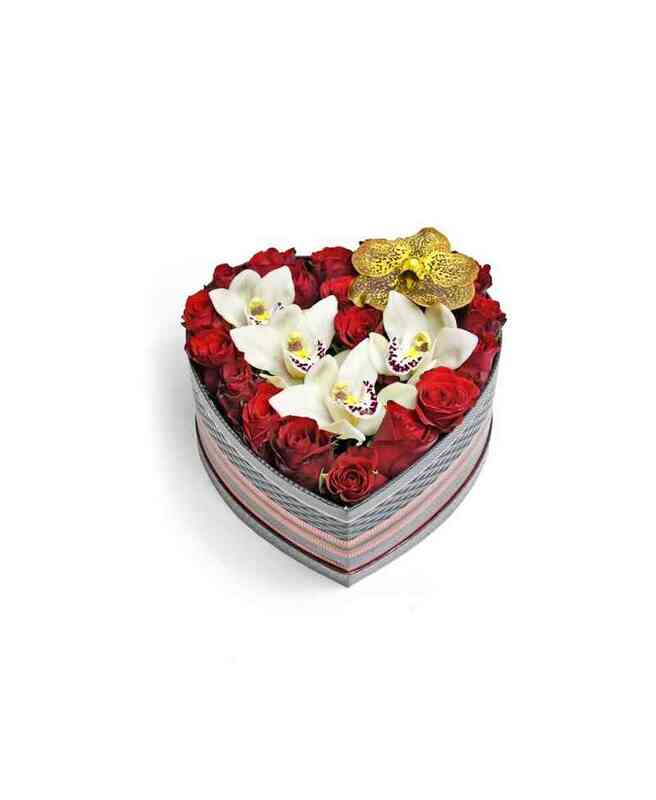 Heart 15 of orchids, roses and hipericum. 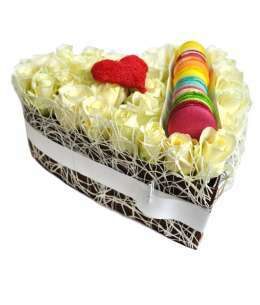 Brown Heart of 31 white roses, 9 Macarons and one decorative heart. 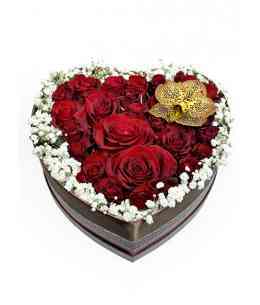 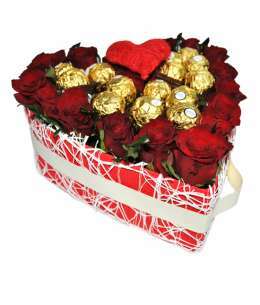 Red Heart of 31 red roses and 12 Ferrero Rocher. 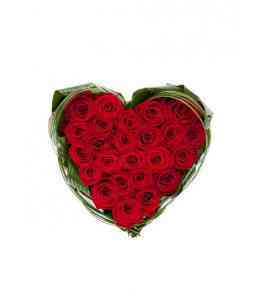 Heart of flowers "Rose heart"
Heart of 35 red roses. 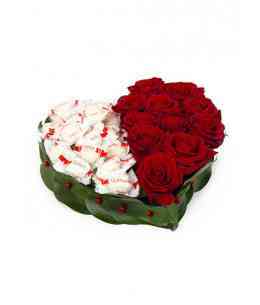 Heart of flowers "Two halves"
Heart of 11 red roses and Raffaello. 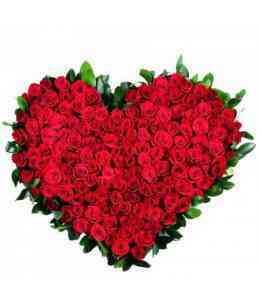 Heart of 101 red roses with decorations. 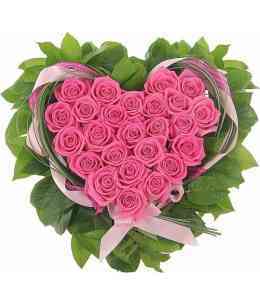 Heart of 35 pink roses with green and decorations. 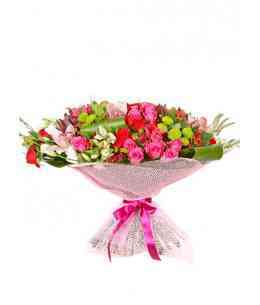 Composition of 31 roses with aspidistra. 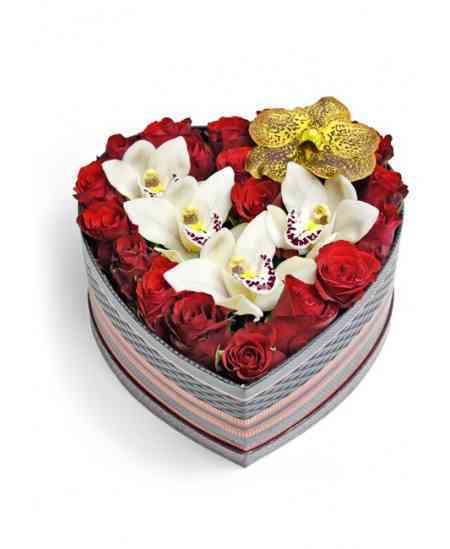 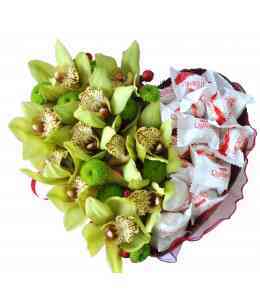 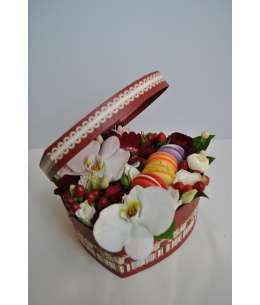 Big Heart of Orchids Cymbidium and chocolate Raffaello. 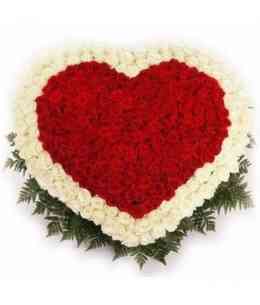 Big Heart of 251 red and white roses. 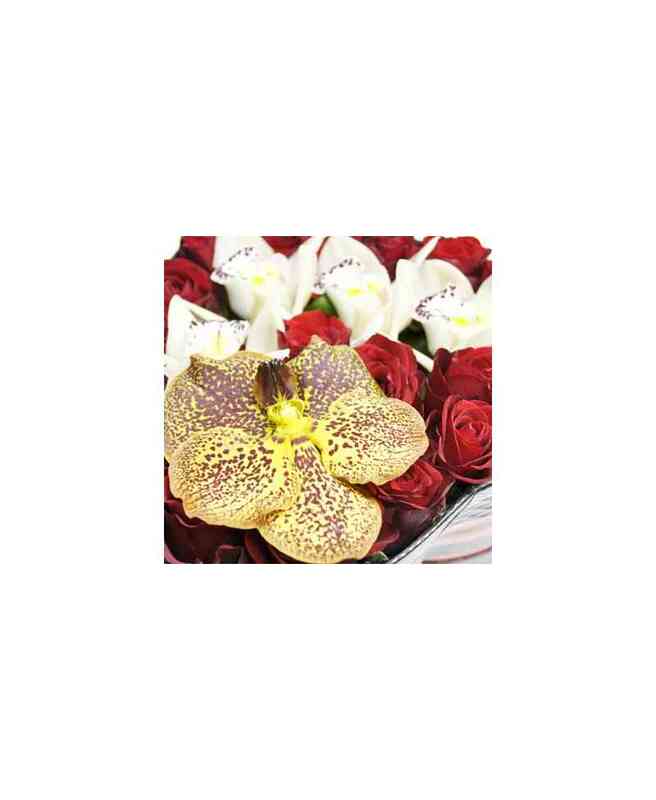 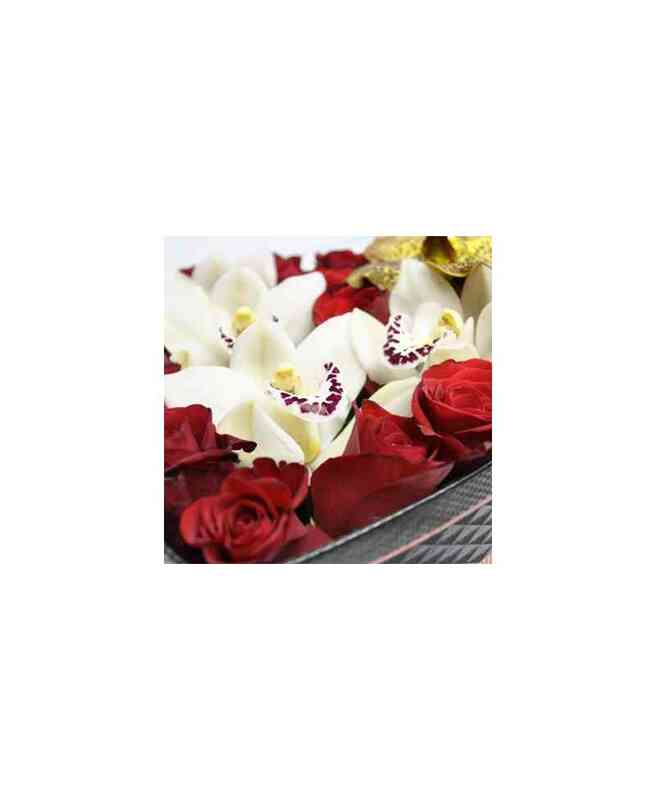 Composition of 35 roses Premium and 3 Orchid Cymbidium. 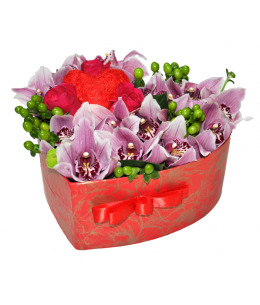 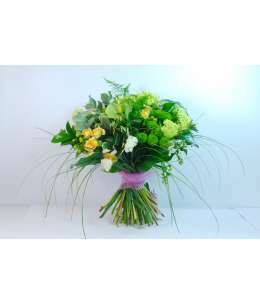 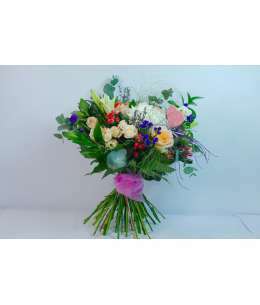 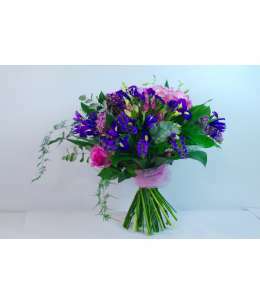 Heart of orchids, chrysanthemums and gypsophila. 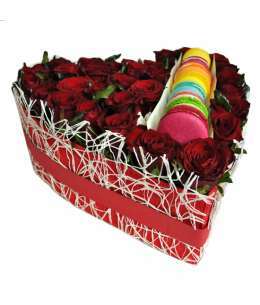 3D Heart of 125 Roses. 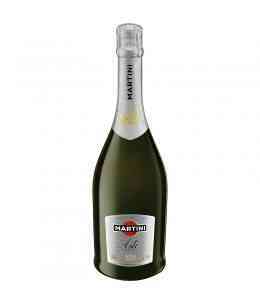 This product must be ordered at least one day before delivery.